Stylish Renovated Lakefront Home. Four bedrooms and two full baths make this a wonderful place to relax with friends and family. 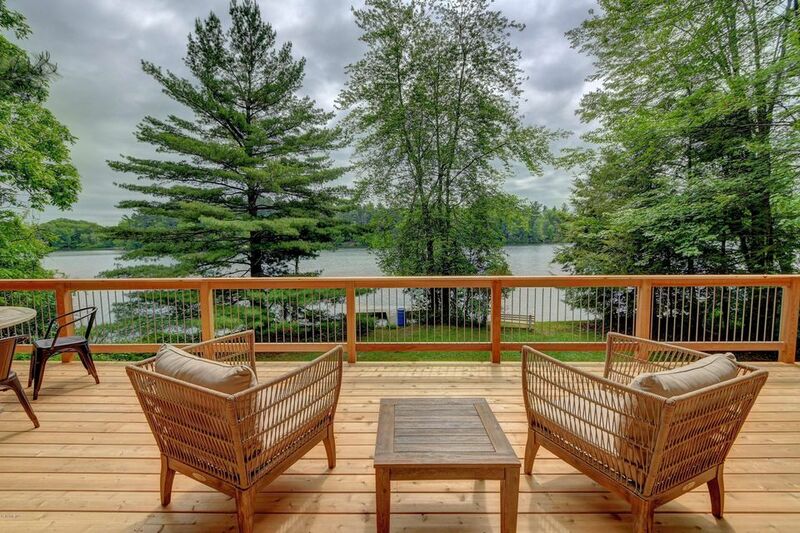 Bright, open and tasteful floor plan open to a huge wrap-around deck to take in the views. On a cool evening, warm up by the fireplace. Fabulous kitchen with custom concrete counters and beautiful cabinetry. Walkout lower level to level, walk to the waterfront and private dock. Just minutes to all the shopping, arts and dining of downtown Great Barrington.